Printed 1 colour, both sides, with 100% ink coverage. The bags are usually packed in outer cardboard boxes in quantities of 500 or 1,000. Deliveries can be made to any location around the UK or exported too. 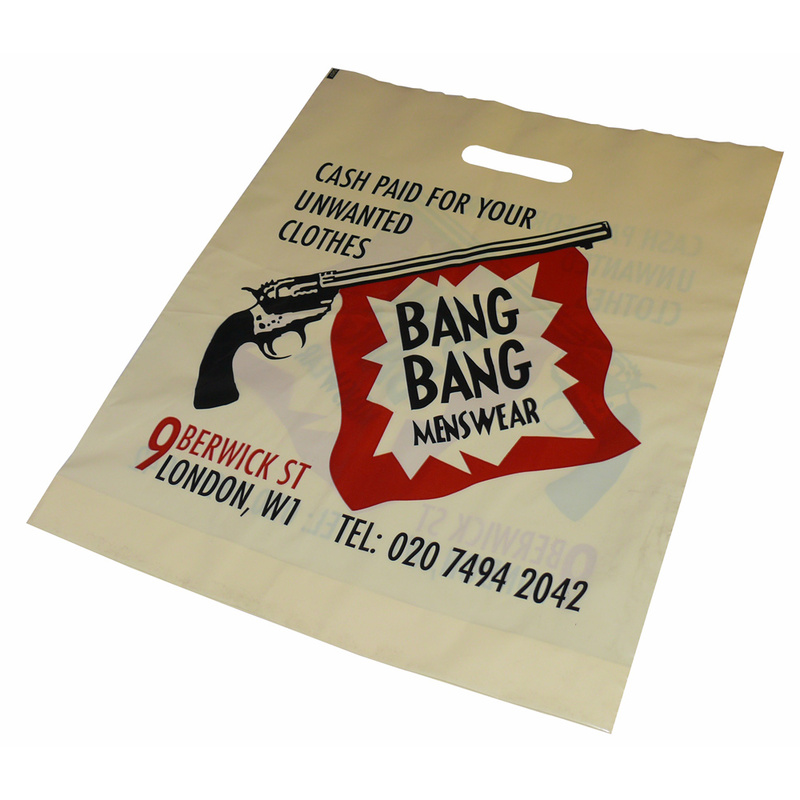 Beckdale can assist with all artwork and design processes of all carrier bags. 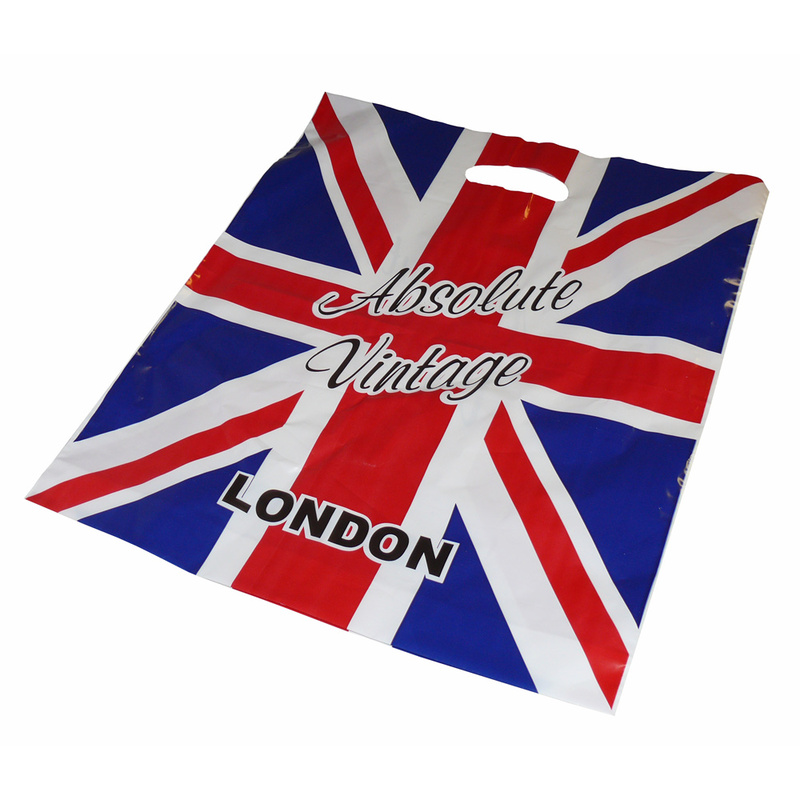 A sample bag is not possible on this style of bag due to the machine set up requirements. 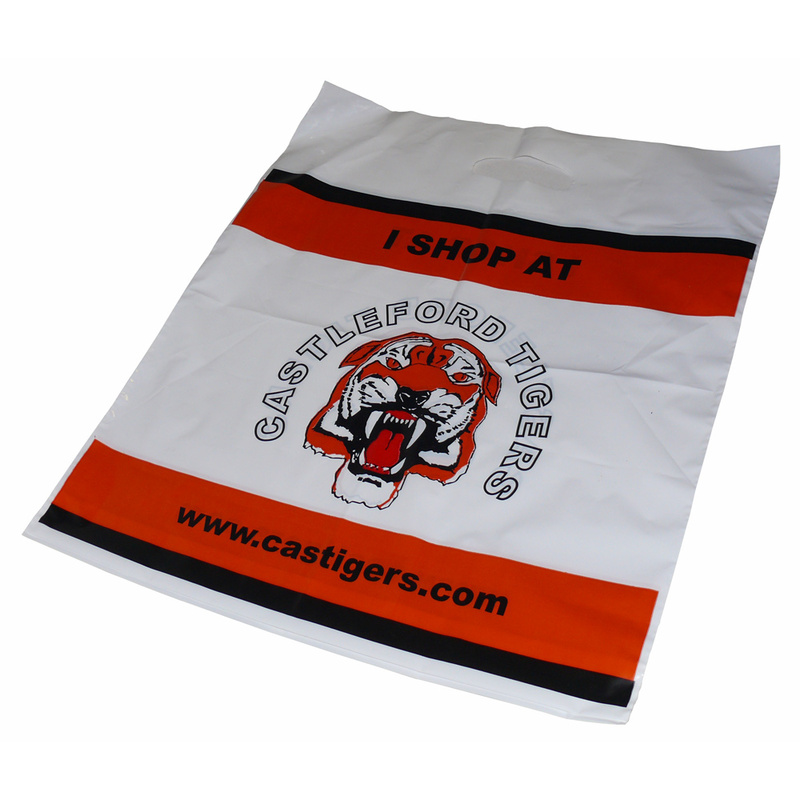 Beckdale can assist in designing the bag for you too!!! Printed 3 colours, both sides, with 100% ink coverage. 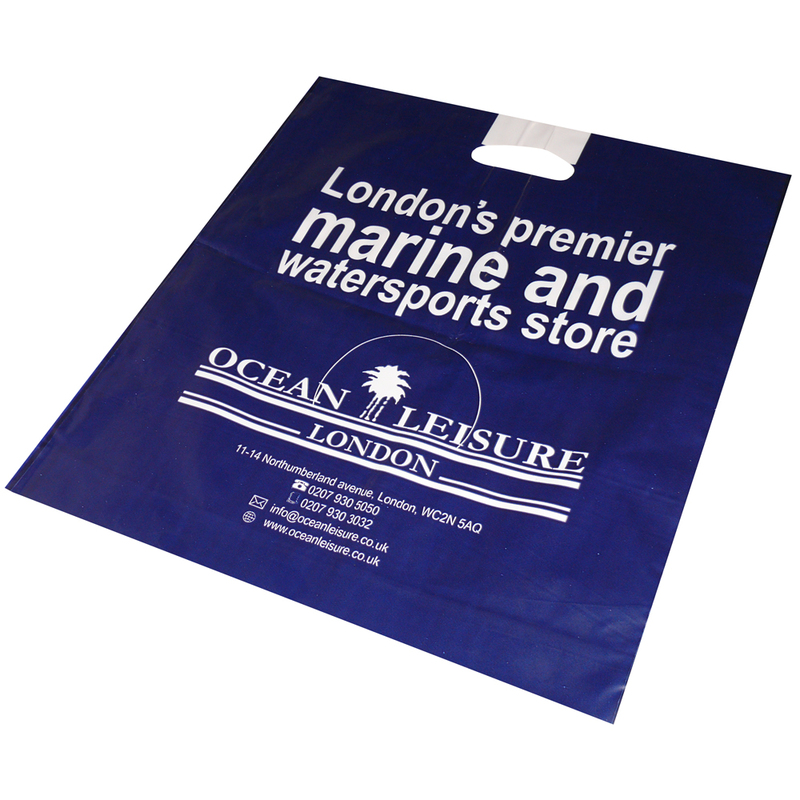 Flexi-loop polythene carrier bags are ideal when you have just that little bit more shopping as the handles allow extra carrying capacity. Easier on the hands as well due to the quality/thickness of the handles. 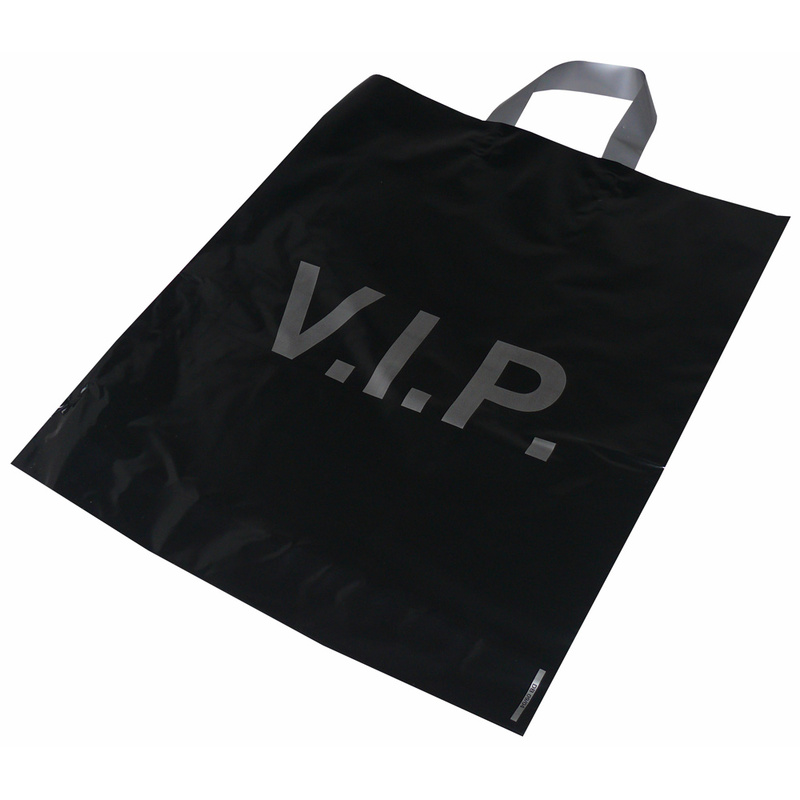 The same prinicple applies as varigauge polythene bags or patch handle bags for guage of polythene. 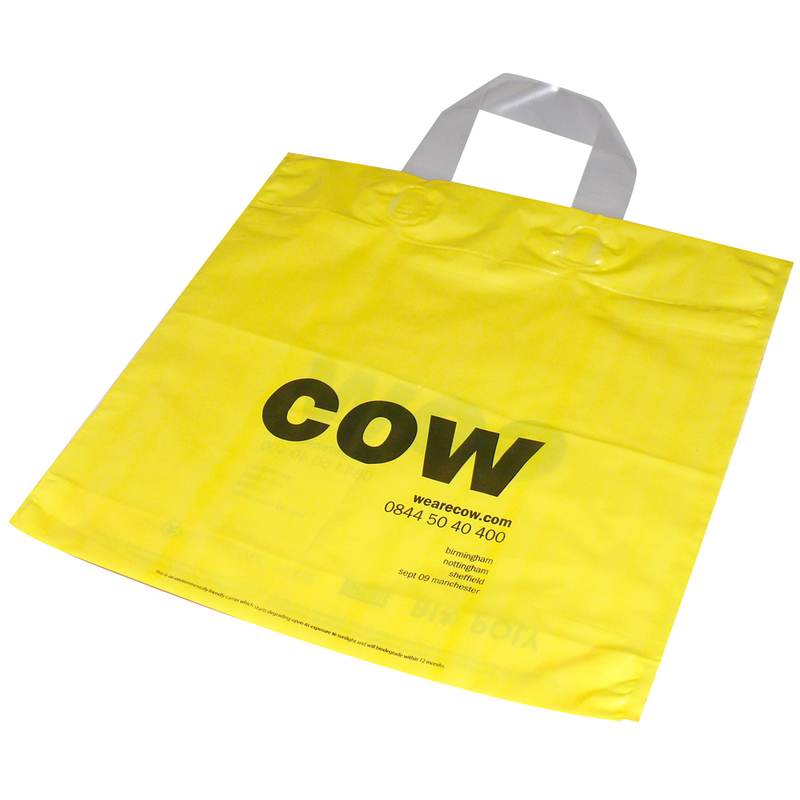 Variloop carriers have double the thickness at the top of the bag to give strength around the handle area, and can be printed with spot colours. 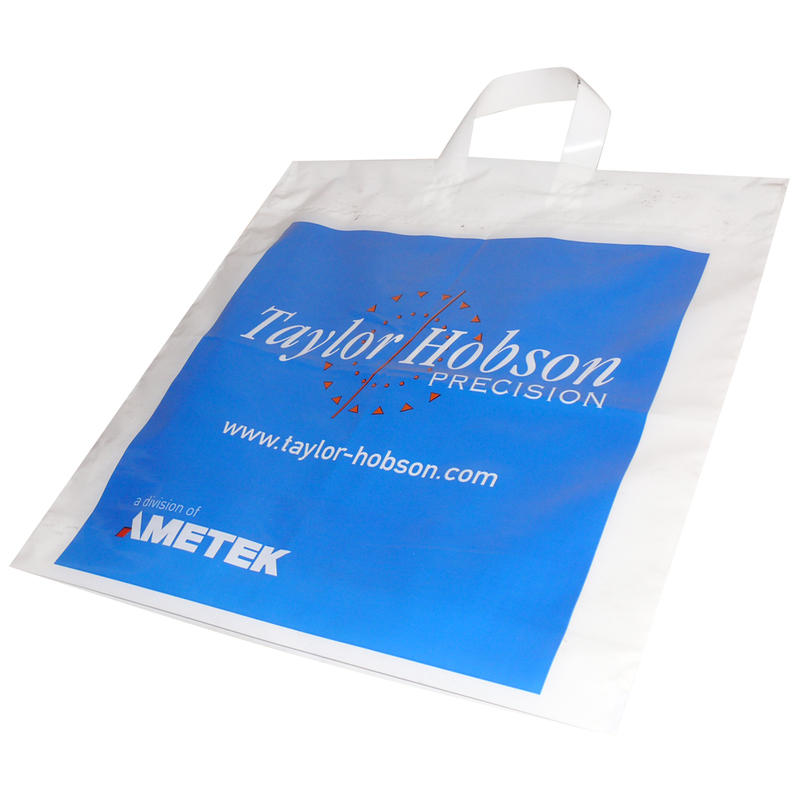 Flexi-loop TOT carriers are of a standard gauge of polythene throughout and can be printed with single or in CMYK process prints. 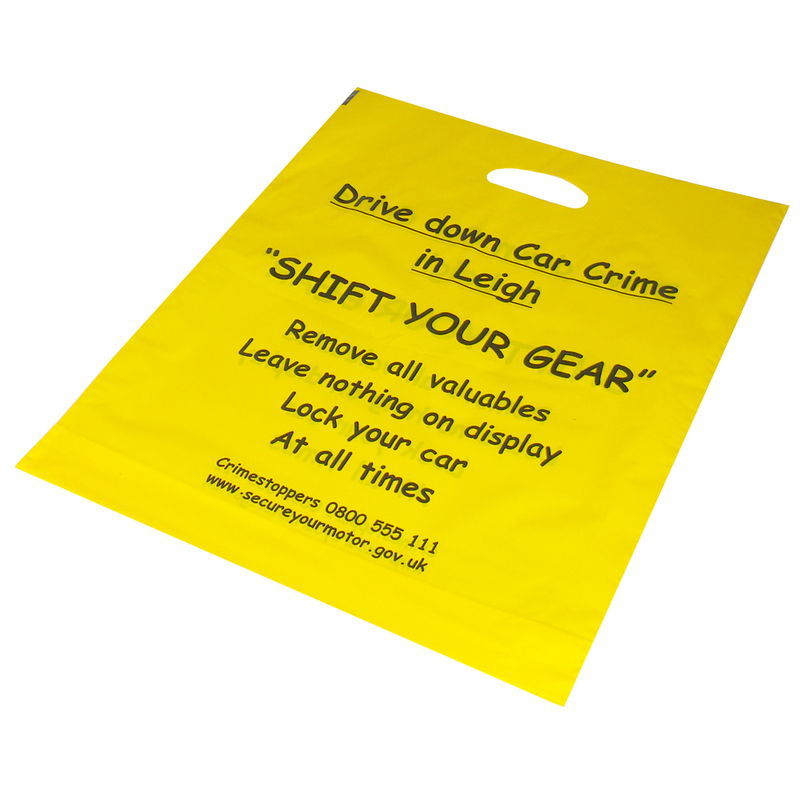 Both types of carrier are available in a variety of colours with matching or contrasting handles also available. Black and Yellow ink, 2 sides, full coverage.